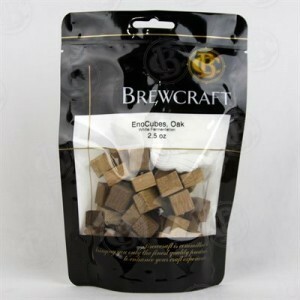 EnoCubes, Oak, Red, Aging - 2.5 oz Package - Texas Brewing Inc.
Red Aging - This blend adds depth to the wine by balancing fruit character with notes of vanilla and dark chocolate. EnoCubes are a masterful combination of carefully chosen oak cubes that are blended to bring out the greatest in each enological stage.We believe the best results occur from blending. That’s why we select the best oak cubes and devotedly combine them for you.